A little over a week ago, we saw Dark AleX unveil a new build for his CFW 3.71 M33-3 + PopsLoader. 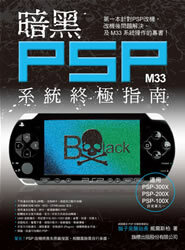 Recent developments may have led some to believe that the intrepid PlayStation Portable homebrew hero is slowing down. Mathieulh begs to differ. There you have it folks. It looks like DAX has decided to stay in the scene, or at least for the time being. Let's all be patient and wait for future releases from Dark_AleX. As of now, they (M33) are open to suggestions for improvement. Also, Mathieulh invites interested coders who want to devote some of their time with M33 to email. Stay tuned for more info and news about this.